OPTOSUPPLY is a leading manufacturer of LED diodes, LED for THT and SMD mounting, superflux diodes, power LEDs, LED lamps, strips and modules and many others. 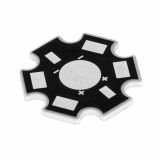 Its products are with distinguished quality, long life and high brightness. LED diode ф10x13.6mm, red, 1560mcd, 20mA, 60°, convex, diffuse, THT Red LED diode with overall dimensions 10x13.6 mm, red body, wavelength 625 nm, brightness 1560 mcd and maximum direct current 20 mA. 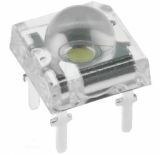 LED diode, yellow, 12000mcd LED diode with luminosity 12000mcd, yellow colour and long life. LED diode, red, 12000 mcd, 7.62x7.62 mm LED diode with luminosity 12000mcd, red colour and long life. LED diode, blue, 7000mcd, 7.62x7.62mm LED diode with luminosity 7000mcd, blue colour and long life. LED diode, green, 10lm, 7.62x7.62mm LED diode with case dimensions 7.62x7.62mm, green colour and long life. LED diode, Ф5 mm, green, 3000 mcd Green LED diode Ф5 mm with green corpus. List Price 0.30лв. VAT Incl. 0.27лв. VAT Incl. 0.25лв. VAT Incl. 0.23лв. VAT Incl. 0.21лв. VAT Incl. 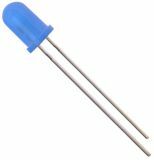 LED diode, diffuse,Ф5 mm, blue, 5200 mcd Blue LED diode Ф5 mm with transparent corpus. List Price 0.30лв. VAT Incl. 0.27лв. VAT Incl. List Price 0.50лв. VAT Incl. 0.48лв. VAT Incl. 0.45лв. VAT Incl. 0.43лв. VAT Incl. 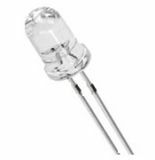 LED diode, Ф5 mm, red, 850 mcd Red LED diode Ф5 mm with transparent body. List Price 0.40лв. VAT Incl. 0.36лв. VAT Incl. 0.32лв. VAT Incl. 0.30лв. VAT Incl. 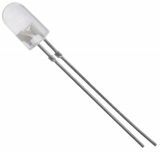 LED diode, f5 mm, cold white, 40000 mcd Cold white LED diode f5 mm with transparent body. LED diode ф5mm, blue, 14400mcd, 20mA, 15°, convex, diffuse, THT Blue LED diode f5 mm with diffuse corpus. List Price 0.40лв. VAT Incl. 0.36лв. VAT Incl. 0.33лв. VAT Incl. 0.31лв. VAT Incl.